Una cita para todos los antiguos alumnos. Fortalecemos la red de contactos de tu entorno. Comillas Alumni is a free service of the Comillas Pontifical University ICAI-ICADE. We support the professional and personal development of alumni from Comillas, encouraging networking, career development, lifelong learning and commitment from our alumni. 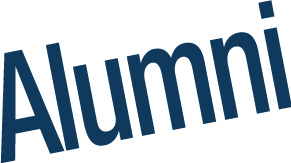 All former Comillas students can join Comillas Alumni. The network of alumni from Comillas is extensive and diverse, and it continues to grow at a national and international level. ¿Podremos tener una transición energética justa?